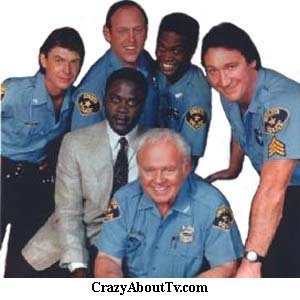 The In The Heat Of The Night TV show was a 60 minute drama series on NBC for its first five seasons and on CBS thereafter. It was about the caucasion sheriff in a small southern town (Sparta, Mississippi) and his dealings with a chief of detectives who also happens to be Afro-American. One interesting concept of this series was how caucasions who have been raised to believe that they are superior to afro-americans must face confrontation with an obviously very intelligent, well-educated Afro-American who is often in a position of authority over them! Title: "In the Heat Of The Night"
By: "Quincy Jones & Alan and Marilyn Bergman"
I've got troubles on the wall. Must be an ending to it all. Thank you for visiting our In The Heat Of The Night TV show page!